Need suggestions for your New Orleans bachelor party accommodations? 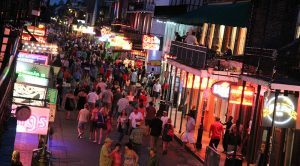 Bachelor Party New Orleans goes above and beyond to make sure you get the ultimate experience. We welcome guests from outside of the city. If you need accommodations like hotels, restaurants, or other exciting places to visit in New Orleans, we have some great suggestions. Many reputable hotels, restaurants, and tourist attractions are in close proximity to one another. Therefore, if you would like to coordinate activities around your bachelor party, we can help you choose the best options. Highly recommend “The Kerlerec House” and French Quarter Suites for bachelor party accommodations. Some of our top-pick Hotels are conveniently situated in the French Quarter. 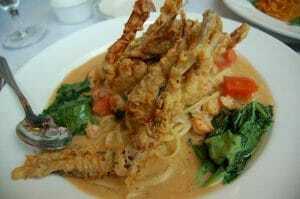 Just a short walking distance are amazing restaurants, bars, and upscale shopping. 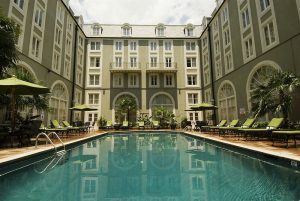 For a unique stay in New Orleans with a fun and energetic atmosphere, we suggest accommodations around this area. Contact us prior to booking your bachelor party so we can give you a list of recommendations and help you plan everything out. New Orleans has some of the finest restaurants in the country, and we’re locals, therefore, we know which ones the locals prefer. Let us know what type of dining you like and what kind of atmosphere you’re looking for, and we’re sure to know of a great place that will fit the bill. It can be overwhelming if you’re new to the city, so we’re glad to help!